Dr. Griffith also functions at TFC as the program director for the Youth Ministries major, where he teaches, advises future youth pastors, and sets goals for the program in the Ministry and Leadership Department. 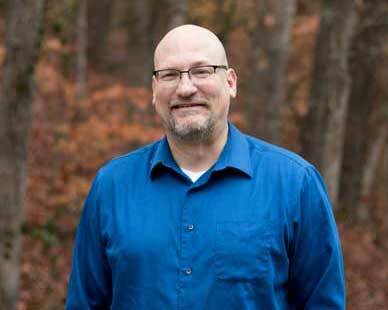 He serves as the Online Program Coordinator for the online ministry majors in the Department. Prior to coming to our campus, Dr. Griffith worked for twenty-four years a senior pastor and youth pastor in the United Methodist Church, in parachurch ministry, and as a chaplain assistant in the US Army. Rich is the father of two sons and the foster father of a third.